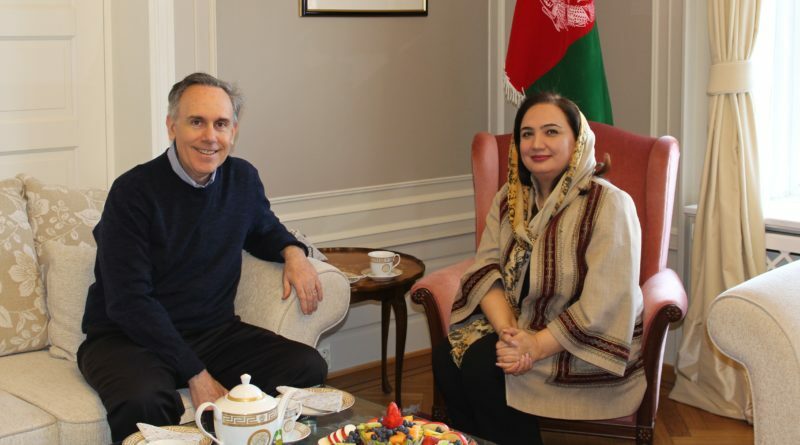 Ambassador Shukria Barakzai met with the Chief of Mission of the United Nations Migration Agency – International Organization for Migration, the Programme Manager Ms. Cecillia Cantos and Mr. Masood Ahmadi National Programme Manager in Afghanistan. During the meeting, the conversation focused on the situation in Afghanistan for migrants returning. IOM’s work and support on the voluntary return and the new Assisted Voluntary Return and Reintegration Framework. IOM’s representatives mentioned that IOM has implemented AVRR programmes worldwide as a human and dignified approach to return and migration. 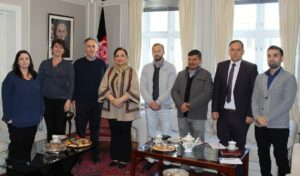 Ambassador Barakzai commended the role of IOM and the support it has rendered to the Afghan citizens who have chosen to return voluntarily to their home country. Please visit https://www.iom.no/ for more information about IOM Norway.